It was a very rocky start to the 2018/19 A-League season for many soccer punters. Three draws in five games meant our ambitious multi picks for round one had no chance of delivering a return. Then there’s the Wellington Phoenix, who silenced their critics at the first opportunity with an upset win over Newcastle Jets. Compounding the misery was Melbourne City’s 2-1 result over the Victory in a controversial derby at Marvel Stadium. 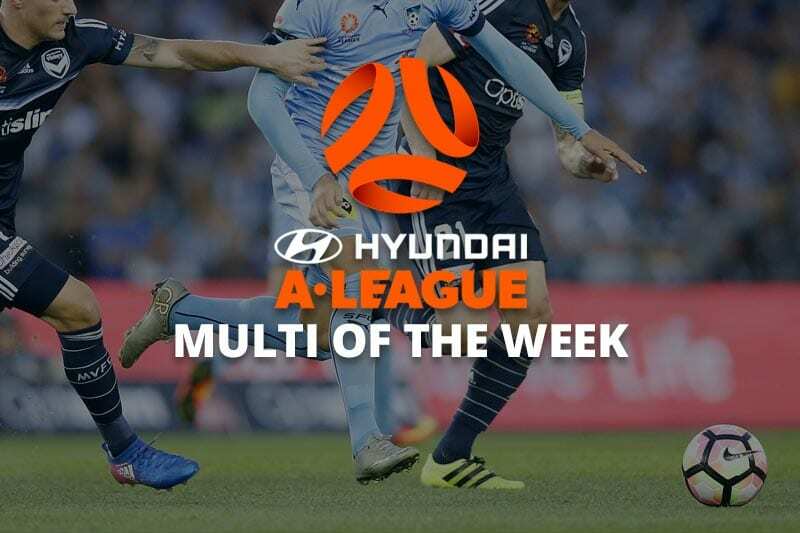 The odds have settled considerably this week, yet there is plenty of value around as we pick ourselves up for another A-League Multi of the Week. Adelaide made an impressive start against Sydney FC and may feel they should have walked away with more than a 1-1 draw. At home again, they face a Newcastle outfit that is looking to bounce back from a disappointing away date in Wellington. The Jets should improve as the season goes on, but early form and home advantage make United the value bet of the week at that price. The Mariners had to settle for a draw at Suncorp Stadium, but coach Mike Mulvey will have been pleased with a performance that saw last season’s wooden spooners keep the lead for over an hour. Now they tackle a talented Melbourne City side that is full of belief after an opening-round derby win. City should have the star power to take maximum points in Gosford. 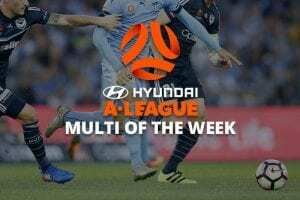 The title favourites were largely outplayed in Adelaide, yet their top-end talent shone through as English import Adam Le Fondre netted his first A-League goal to halve the points. Roly Bonevacia was the hero for Wanderers as they, too, came from behind in an entertaining 1-1 draw over in Perth. The Sky Blues took the ascendancy in the derby last year and should further assert their dominance at the SCG. Adam Taggart hit the target to rescue the Roar from an embarrassing first-up defeat against Central Coast. The mood was considerably more jubilant over in Wellington, where the early favourites for the wooden spoon stunned Newcastle to rise into the upper reaches of the A-League table. Nevertheless, Brisbane are rightly rated the most likely team to register a win this weekend. Victory fans might curse the VAR, but the boys in navy blue were far from sharp in Saturday’s derby defeat. At least Keisuke Honda started well with a goal on debut. The attacking wing play of Jason Davidson and Ivan Franjic was a highlight as the Glory drew with Wanderers in Tony Popovic’s first game as gaffer. The defending champions should have the clout to get it done at home.